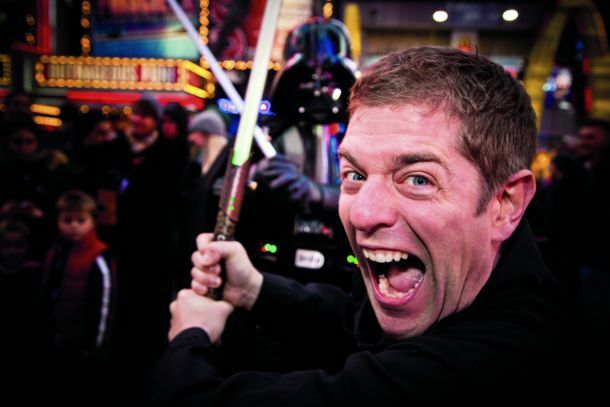 If you thought it was impossible for one guy to act out the original Star Wars trilogy in just over an hour, playing all 40 characters, complete with sound effects, music and voice impersonations, Charles Ross would like to have a word. 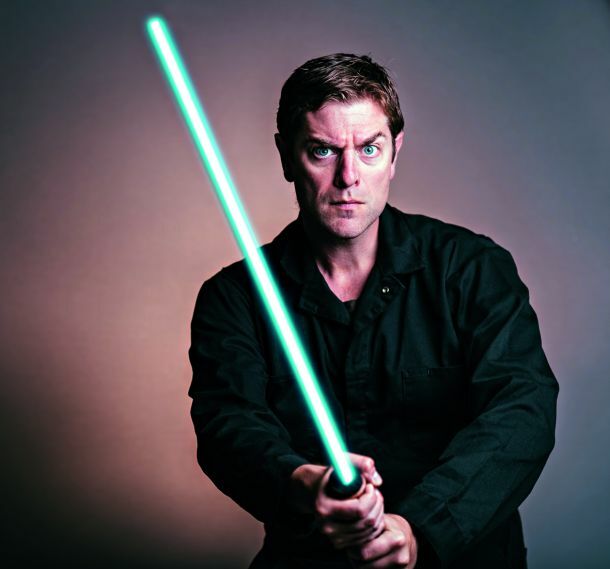 The Canadian actor has been doing just that for 16 years, taking audiences around the globe on an epic, and frantic, journey littered with clever references and inside jokes that will make Star Wars geeks beam. The One Man Star Wars Trilogy does what it says on the tin and what you get is literally a black jump-suit clad Ross on stage with no props, costumes or any special effects. The stage is black and empty, but Ross more than makes up for this bare setup with an almost nucleic energy that doesn’t let up until the ‘credits’ for Return Of The Jedi roll. Ross has had 16 years to perfect his act and he doesn’t disappoint. From spot on lightsaber sound effects (the Force AND the Dark Side if you believe it) and choreographed fight scenes to nailing dialogue (spoken at breakneck speed at times) from all three movies, it’s impressive to watch by any standard. In between the three re-enactments, Ross breaks the fourth wall and speaks directly to the audience, gauging their reaction to the material. As much as he is an actor, Ross is also a gifted comedian and his banter with the audience, coupled with his self-awareness on his subject, and his sincere joy at being able do what he loves most, are integral parts of why his shows are such a success. 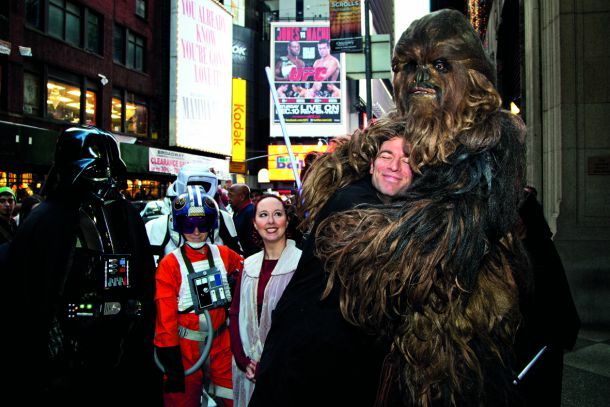 Running in conjunction with the International Day of Families this May, the Milestone Productions showcase is suitable for Star Wars fans aged six to Yoda. Officially endorsed by George Lucas, the One Man Star Wars Trilogy is a must for any self-respecting fan. For those not intimately acquainted with the movies, it’s still a blast(er) even though a few scenes might go over your head.